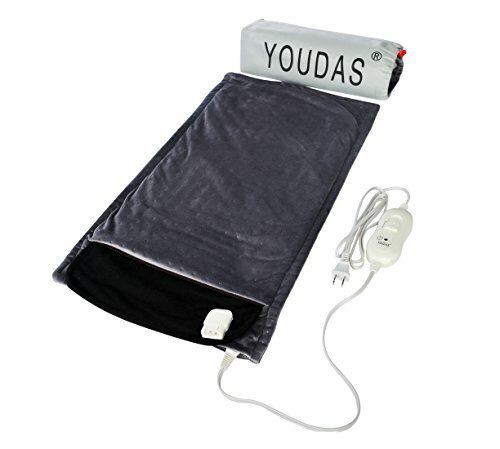 YOUDAS Heating Pads offers therapeutic heat coverage for sore muscles in your back, legs, and shoulders. Machine Washable with Bonus laundry bag: Helps maintain the beauty and softness for years to come. Better extension service life for use. It is ideal for wrapping around large areas to relieve arthritic pain, muscle ache and stiff joints. Use for just 20 minutes daily (or as recommended by your doctor) to increase blood flow and reduce pain and muscle spasms. If you have any questions about this product by YOUDAS, contact us by completing and submitting the form below. If you are looking for a specif part number, please include it with your message.